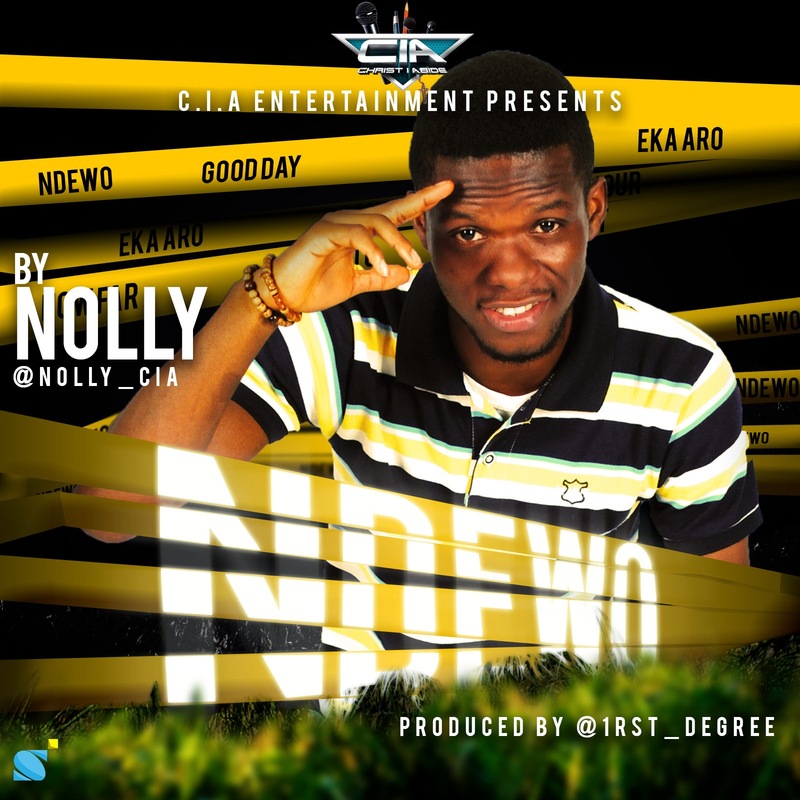 Nolly is a member of the gospel hip-hop group, CIA. This is another solo effort by him, and this track was produced by First Degree. Oh, yes, in case you wondered, Ndewo means "Good Day." It's not rocket science. I just saw it on the cover art. *wink* It pays to look twice! Coming off the burners right after his hit single 'Jesus N'asu Igbo,' which topped the Praiseworld Radio Music charts, enjoying airplay in radio stations both in Nigeria and other African countries like Ghana and Zambia, talented rapper NOLLY, drops another banger. This one is titled 'Ndewo' which means 'Greetings' in Igbo language. The song is a hip hop track, with a heavy beat that is sure to have heads bumping, and the production credit goes to Cedar (a.k.a First Degree). With the distinctive style he has become known for, Nolly mixes high-end metaphors and punchlines, with Igbo phrases to deliver a flavour that is totally his own. The song is a greeting to GOD, showing appreciation for the favour so far in his journey. Mixed and mastered by Okey Sokay. NOLLY, whose real name is Nonso Tony Onwuli, is a young talented, fast rising rapper, singer and song writer who hails from Anambra state in the eastern part of Nigeria. Born on August 6th in Calabar, but grew up in Enugu, the entertainment capital of East Nigeria. He is a graduate of Pure and Industrial Chemistry from the prestigious University of Nigeria, Nsukka. He grew up listening to different genre of music which influenced his style of music. He has been on the scene for a while now, but ventured into music professionally in 2010. He can best be described as the connecting point between the Old School focus on lyrics and the New School's modern beats, mixing witty slangs with stories, punchlines and truth with the sleekest delivery. He is a founding member of the music movement, CIA (Christ I Abide) alongside DIKKY, PROPANE, KINSU, DABZ and DEXTA. Since his emergence to the scene, he has released 4 singles with names; Born Champion, Faith, Fire Flame (Birdman Cover), and his most current single, Jesus N'asu Igbo which is receiving airplay and topping charts in radio stations both in Nigeria and accross Africa.